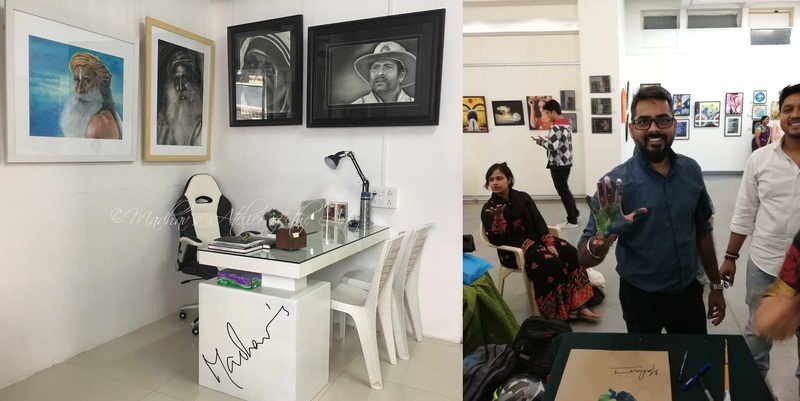 Venu Madhav Vodnala – A self-taught, art aficionado by passion. My constant quest is to bring out the ‘soul’ of the subject with pencil/charcoal, which retains what it is, as well as adding my own perspective and flavor to it. This form of art is called ‘Graphite Realism’. Many wonderful artists inspired me & the most influential was Sir Armin Mersmann (http://www.arminmersmann.com). His works always rekindle the passion within me to work more passionately & experience the bliss which is the food for my soul. All my works have been chosen by virtue of either by their beauty, intricacy, challenge, divinity, elegance or by their legendary attitude. I feel my work gets chosen & appreciated because the subject’s beauty is brought forth in all senses. All my works are original, without any printing, photo manipulation or duplication. Every piece of work delivered from me, is a unique piece made by my hand with no technicalities involved, is an epitome of pure traditional art. Unlike many artists whose expertise is limited to few domains, I’m fortunate to choose the wide gamut of subjects & instill life. Have participated in many solo & group shows all over India. B.Tech graduate from JNTU with CSIT (1999-2003) as the major. It’s truly amazing to see the kind of skill that you have developed all by yourself. Hat’s off to all the dedication and hardwork that you put in it. It is really extra ordinary to devote time and be so good in something other than your profession. Sincere wishes to you. Thanks for all your kinds words & wishes. I’m delighted to know you liked my works. Thank you Vijayant. Amazing sketches Venu !!! You are really gifted !!! There is a lot of power in your drawings, I am impressed! They have something unique, even if the theme is a very well-known photo. Very interesting work process, parts of the drawing are almost finished while the rest of the paper is still completely white. Hi BUDDY……… good to see your COLLECTIONS….though I have many with me saved in my LAPTOP…….. Thank you Deepika.Please get in touch with me if you are interested. Thank you Uncle, that;s mighty nice of you! Hi Madhav.. Nice to hear that you are taking online training. May I know the link for online training subscription? Its not available on your blog yet? Thank you. I have trainings set up for remote students/aspirants. I do take them on Skype but not integrated in my website for now. You can reach me on my mobile for more details. Will try to answer & clarify as many questions/clarifications as I can. Good work.its really great we can’t express u r creativity***keep it up….and all d best. You can very well reach me @91-9989133174 & discuss further on your requirements & then register for the upcoming batch. Thank you for writing to me. Today (10.Aug.2016) I spoke to him and felt extremely privileged. On facebook I keep following pencil sketch artists, Mr. Venu is the only Indian I came across with such a realism work. Great work brother. Hi Rama, I have mailed you about the batch please revert or call me for more details. Thank you for the wonderful feedback. Super Madhav amazing Art done by yourself I thrilled when I saw the sadguru Art in Art gallery on Sunday. Thanks Anil, that’s so nice of you to write back to me, even after returning from the gallery! No words Mr. Venu !! I am Rahul ( your CSC colleague Apoorva’s Husband ) ..I have been introduced to your sketches by Apoorva..It’s been great just to look n feel your work.. Wonderful n Mesmerising..My all good wishes in your black n White journey..n thanks for Apoorva’s beautiful sketch..
We love you sir. Great artist. Amazing work. Would like to know your training schedule.